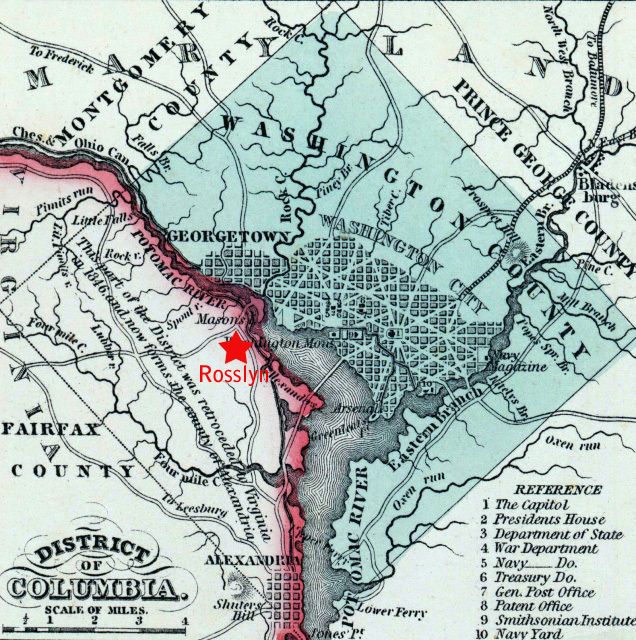 In 1857, Rosslyn was at the intersection of a road heading west, and one heading south. In addition, a road ran east of that intersection out onto Mason's Island, now known as Theodore Roosevelt's Island. The existence of these roads indicates the early importance of the Rosslyn area.